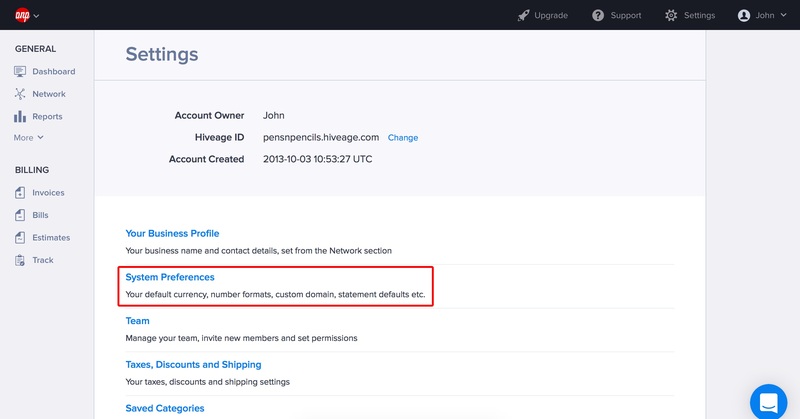 If you don’t want to use the default subdomain provided by Hiveage for invoices and estimates you send, you can easily replace it with your own custom URL. Instead of directing clients to http://yoursubdomain.hiveage.com, you can just send them to http://billing.example.com. Read on to see how you can get started right away! To add a new CNAME Record for your domain, use the DNS panel of your domain registrar. There, enter the subdomain you wish to use as the Name. 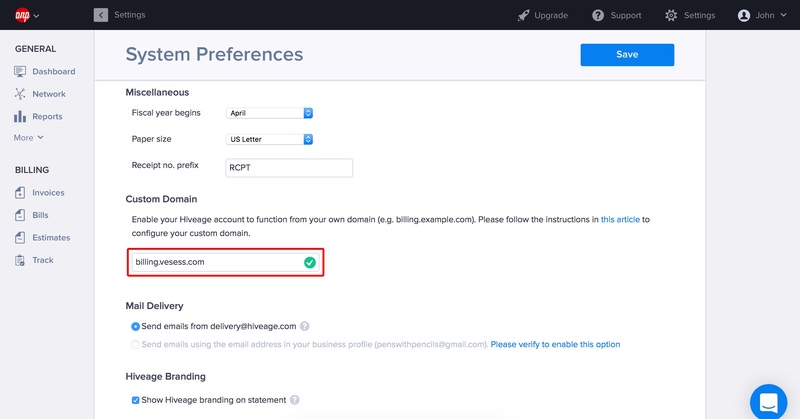 For example, if you want to use billing.example.com then enter ‘billing’ as the name. Then enter your current Hiveage subdomain (i.e. example.hiveage.com.) as the corresponding value to your CNAME (some DNS interfaces may label it as Host Name, Fully-Qualified Domain or Data). 2. Click the System Preferences link on the Settings page. 3. Scroll down to the Custom Domain field and enter your custom domain (e.g. billing.example.com) and hit the Save button at the top of the window. That’s it! 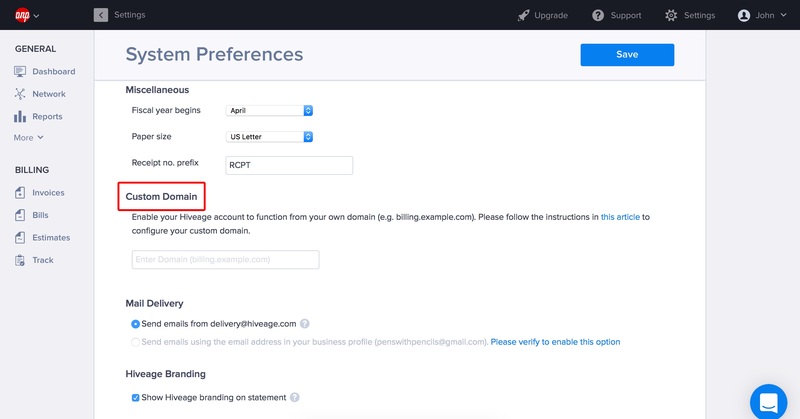 Your Hiveage account should now be accessible at your custom domain.